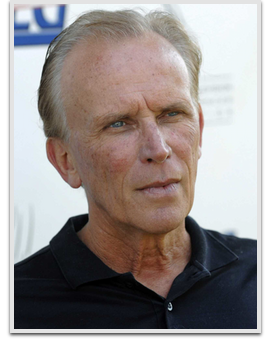 Peter Weller is an American film and stage actor, director and history lecturer who has appeared in more than 50 films and television series, including turns as the title characters in the cult classic The Adventures of Buckaroo Banzai Across the 8th Dimension, and blockbuster hits RoboCop and RoboCop 2. He has also appeared in such critically acclaimed films as Woody Allen’s Mighty Aphrodite, the Oliver Stone-produced The New Age and David Cronenberg’s movie of William Burroughs’s novel Naked Lunch. He received an Academy Award nomination for his direction of the 1993 short Partners, in which he also acted. Most recently he lent his vocal talents to the role of Batman/Bruce Wayne in the animated adaptation of Frank Miller’s The Dark Knight Returns and can be seen as Admiral Marcus in the hit sequel Star Trek Into Darkness.